I’m definitely keeping the scarf, but the hat is still possibly going to make it’s way to my Etsy store…undecided as of yet. It’s incredibly fun and slouchy, I just need to decide whether some type of well fitting, ear covering hat wouldn’t make a better choice 😉 For those interested in the pattern, it’s the Fisherman’s Wife Beret found on Ravelry. 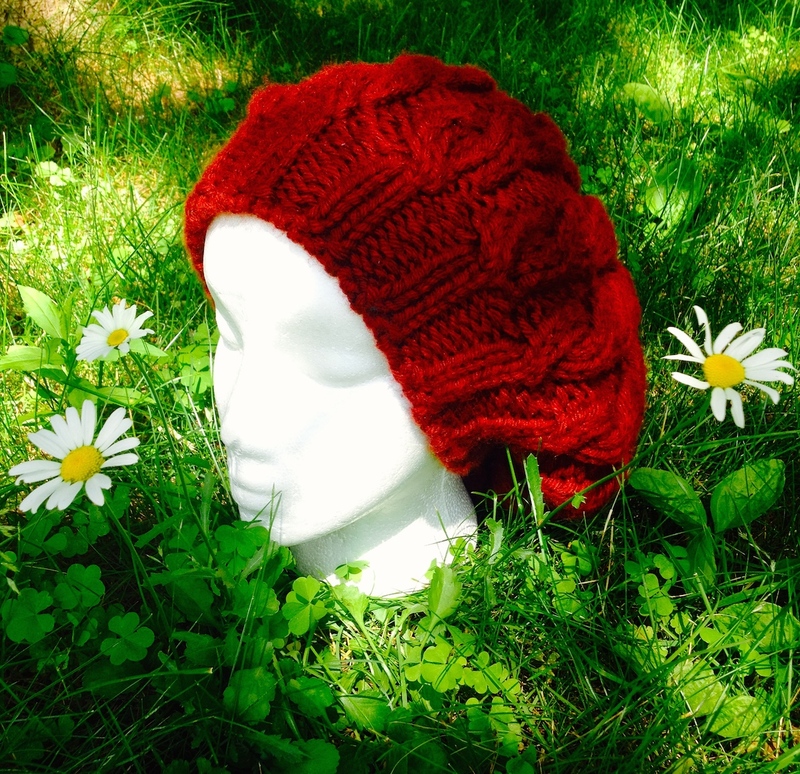 Simple and easy pattern with some straightforward cabling that gives the hat a lot of personality! 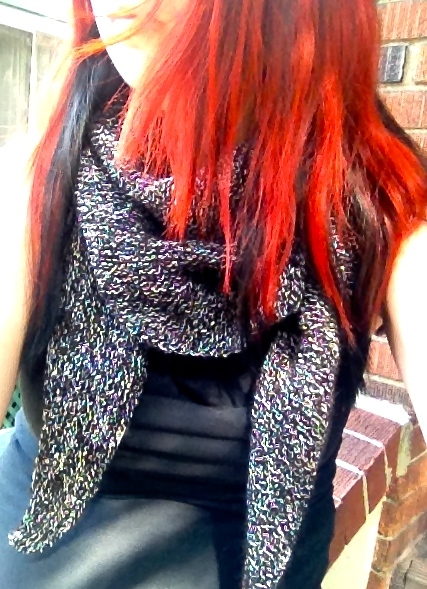 The scarf is an asymmetrical pattern I came across a number of months ago. (Pattern is available on Ravelry) Yep, asymmetrical. The obsession continues. 😉 I’ve been working on it for-ev-er!!! But it finally came to completion last night! All garter stitch, but it’s the yarn that makes it! 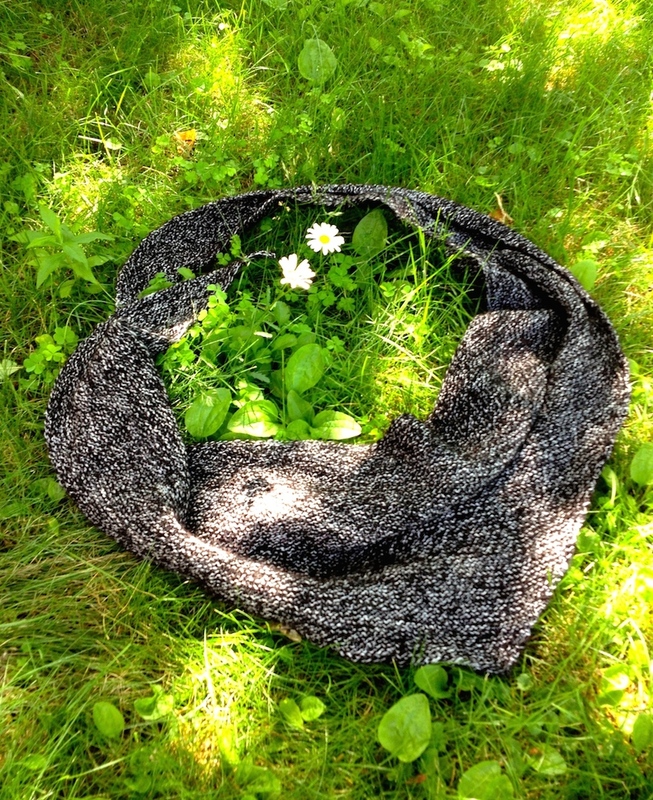 The yarn was handspun in New Brunswick by Angela Belyea at The Herb Farm Studio. 577 yards of 60% Newfoundland Alpaca & 40% Merino So soft and such a pleasure to work with. 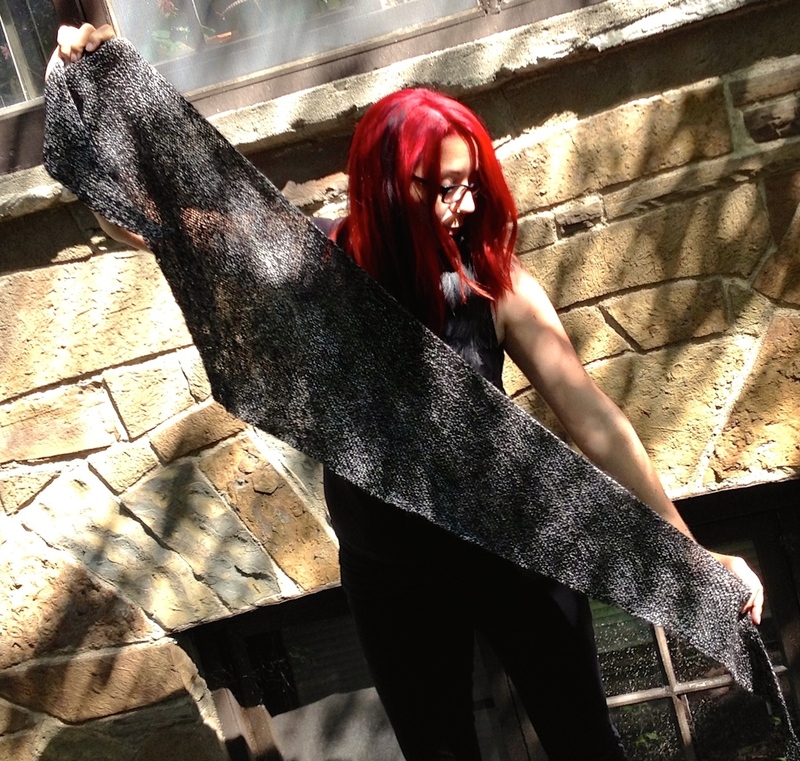 Wearing this wrap is like wearing a feather weight hug! I’m so happy with it! The cast off was done super stretchy so that I wouldn’t have one edge on the wrap that was super tight. I followed this video tutorial to cast off and it worked out perfectly. Just a heads up for any of you who are looking for a stretchy cast off technique. Being mostly alpaca, this is definitely coming on my trip! Next up, I need to find a way to carry my camera so it is accessible, exchange some Canadian currency for Icelandic Krona, and figure out how to pack lightly enough so that I can bring back ALL the wool!!!! Crap, I’m going to need a bigger suitcase! 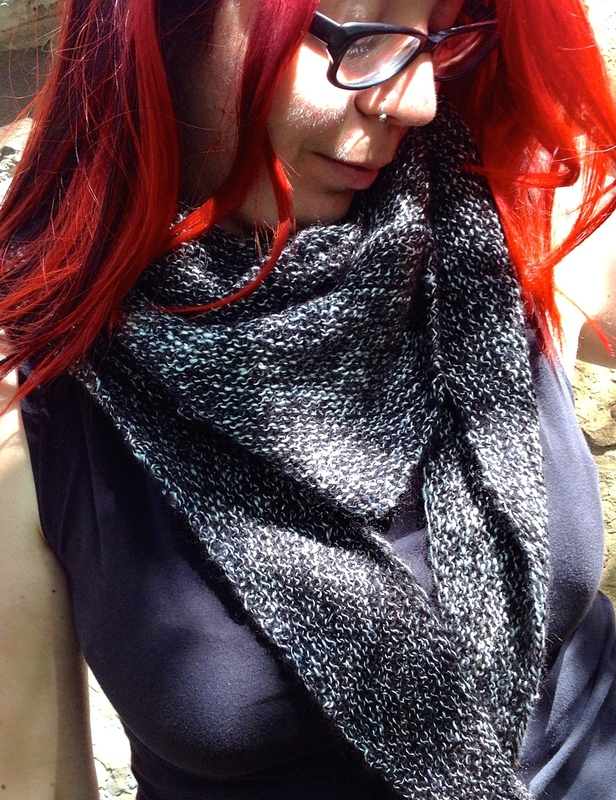 Next postKnit Cast On – Reverse Longtail Tutorial – Great for stretchy fabrics! beautiful scarf! have a lovely trip!